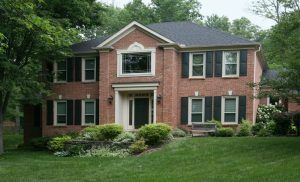 American WeatherTECHS is the best source for replacement windows for homeowners from Cincinnati, Ohio, to Columbus, OH. Having served area residents since 1995, we have earned a reputation for providing the best service available and offering only the industry’s finest home windows that are rich with beneficial features. We offer Preservation series vinyl windows from trusted manufacturer Associated Materials. These replacement windows are exceptionally energy efficient and are available in several different models, including double-pane, tripled-pane with Argon gas fills, and triple-pane with Krypton gas fills, to suit virtually any homeowners’ needs and budget. All Preservation home windows effectively reduce heat transfer, making it easier to maintain comfortable indoor temperatures, thereby keeping our customers’ heating and cooling costs under control. When you choose Preservation series replacement windows, you’ll get to select from a wide variety of beautiful frame colors as well as all of the most popular styles, such as double hung, casement, awning, slider, picture, bay, bow, and architectural shape windows. 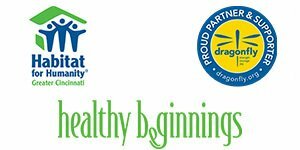 Plus, you’ll get peace of mind knowing that your home windows are backed by an unbeatable double lifetime transferrable warranty. If you’d like to learn more about the Preservation series replacement windows we install on homes from Columbus to Cincinnati, OH, contact American WeatherTECHS today. We also proudly offer Sherwood windows from Vinylmax that feature wood interior frames for a classic look. See one of our recent window projects in Cincinnati here!